When a few more teeth appear, you can start using toothpaste with your child's brush. At this stage, use only a tiny amount of toothpaste, about the size of a grain of rice. 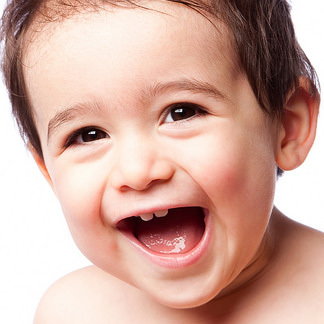 Your pediatric dentist can advise you on an age appropriate amount of fluoride toothpaste. From the beginning, have your little one practice spitting the toothpaste out after brushing.